If you happen to be in need of a pair of earphones, you'll be happy to know Google's Pixel Buds are now on sale for 50% off. But there's a catch, as they're only cheaper for customers who purchase Google's latest flagship smartphones. 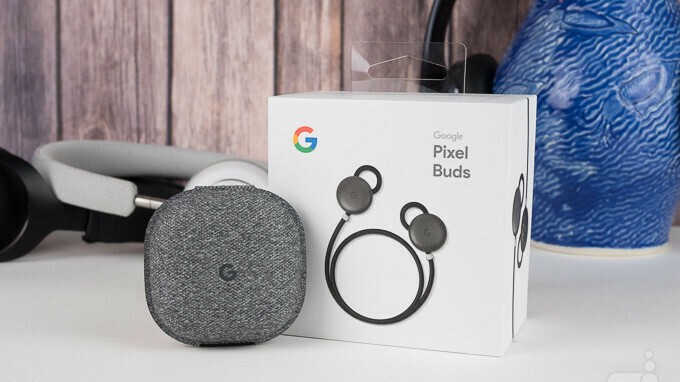 That most likely changes the priorities, so if you're looking to buy the Google Pixel 2 or Pixel 2 XL, you'll also be able to grab the Pixel Buds for just $79.50. The deal Google is offering right now is available until February 14, while supplies last. In order to benefit from the offer, simply add the Pixel 2 or Pixel 2 XL, along with the Pixel Buds to the shopping cart and you should see the discount immediately. Keep in mind though that the promotion is available only to US residents with US shipping addresses. Designed for high-quality audio, the Pixel Buds enable users to get real-time translations with Google Translate and provide up to 5 hours of listening time with just one charge. You can find out more about the earphones in our Google Pixel Buds review. Oh wow, I would have never known that they would offer this. Feeling like I should have waited to get the Pixel 2, once again. This seems like a solid way to deal with the loss of the headphone jack. When you consider the quality of this buds, it is not really something special. Especially it's not the reason to ditch 3,5mm. If you want to replace something, replace it with something better.